Indira Naidoo pictured in her verdant Potts Point balcony. Image: The Edible Balcony. Veteran journalist Indira Naidoo has spent countless television hours informing Australians on global conflict. Now, she believes food security could be the key to solving it. Veteran Australian journalist Indira Naidoo has spent a large chunk of her life reporting on global conflicts. As a television anchor for the ABC and SBS around the turn of the millennium, Naidoo was the face beamed into screens during the Kosovo crisis and East Timor’s independence. 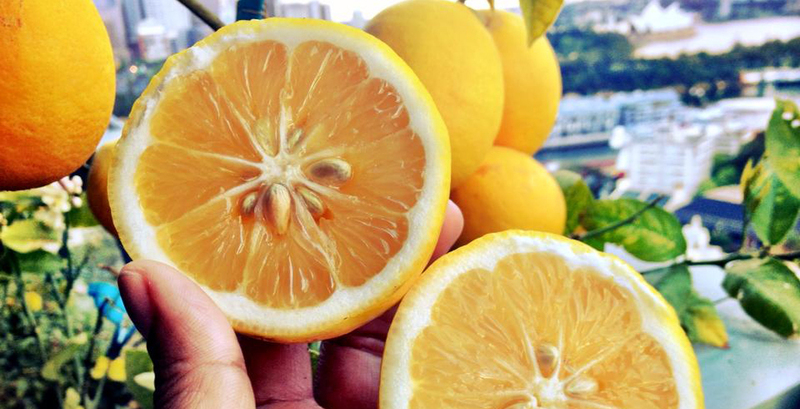 But little did Naidoo know that she’d one day turn away from it all to become a food sustainability champion – a new calling kickstarted from an edible garden on her balcony in inner-city Sydney. Naidoo’s switch to CHOICE in 2006 coincided with the release of Al Gore’s An Inconvenient Truth. Call it fateful coincidence, or a recognition of her reporting reputation, Naidoo was selected as part of a program run by Gore to become a climate change ‘communicator’ along with other specialists from the Asia-Pacific. Naidoo's balcony bathed in sunlight. Image: The Edible Balcony. Oranges grown from Nadioo's balcony dwarf Meyer lemon tree. Image: The Edible Balcony. 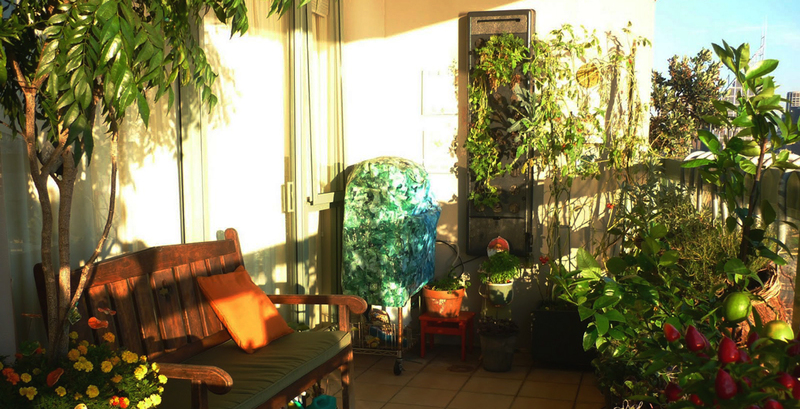 Naidoo's balcony gets an ample serving of sunlight needed to foster a thriving garden. Image: The Edible Balcony. 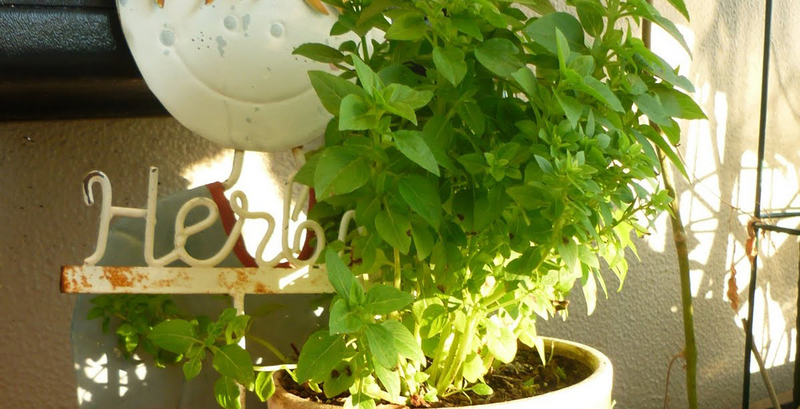 Balcony herbs. Image: The Edible Balcony. Fresh tomatoes from the balcony. Image: The Edible Balcony. When she returned from her overseas postings, she looked for ways to apply her newfound knowledge at home. Naidoo’s leafy, harbourside suburb is also one of Australia’s densest, with around 141 people per hectare. 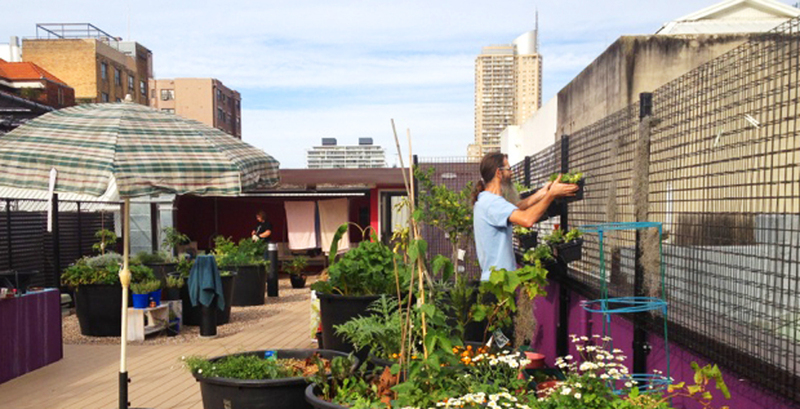 Here the prospect of an urban garden isn’t so much to do with a backyard, but a balcony. 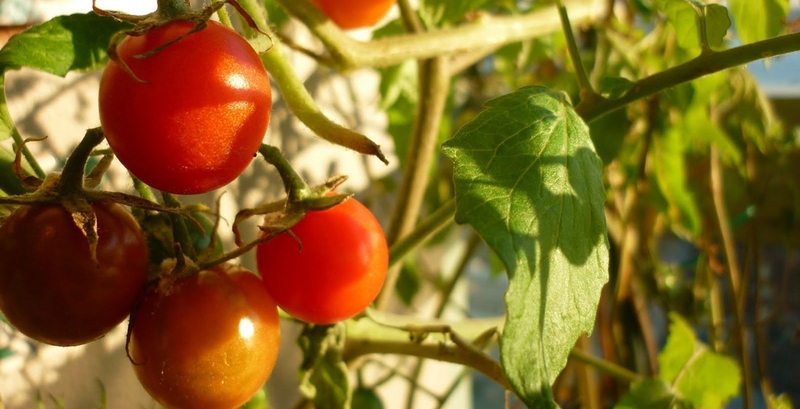 At first, there were herbs, which then expanded to another 70 kilograms of vegetable produce in a year. 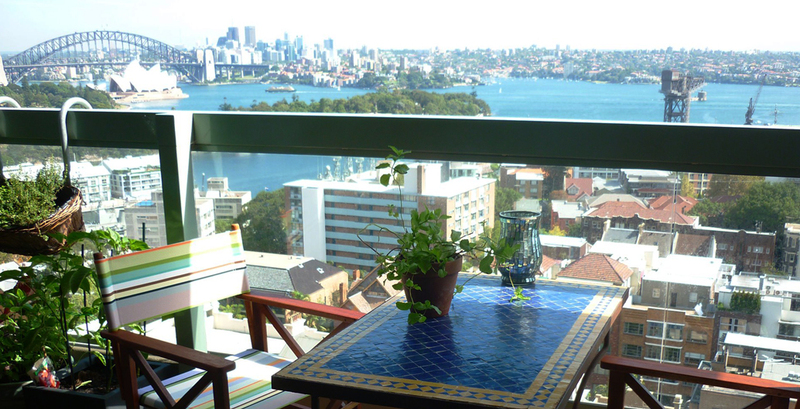 Then came her book, The Edible Balcony, charting the successes and failures of her time cultivating her balcony garden in Potts Point. Since its publication in 2011, it has spawned a follow up, The Edible City, along with projects putting her texts’ ideas into practice. Wayside's vertical garden. Image: Saucy Onion. 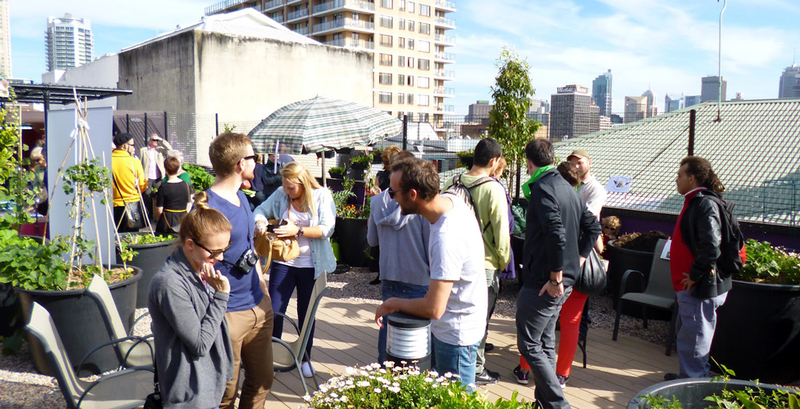 Wayside Chapel rooftop open day. Image: Saucy Onion. 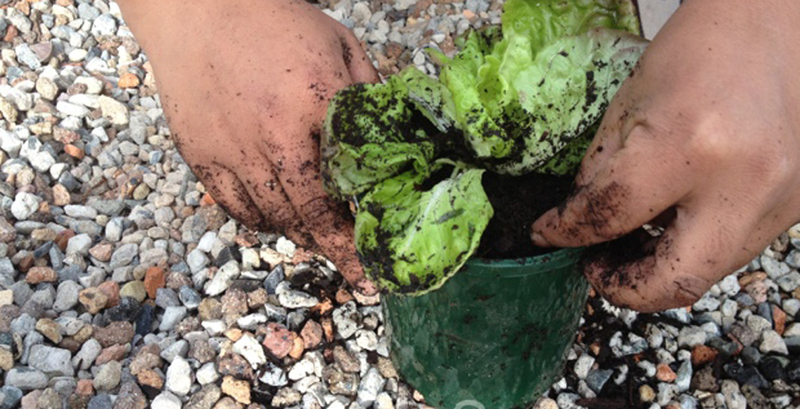 Planting Wayside's first produce. Image: Saucy Onion. Wayside’s rooftop garden services many people from all walks of life. Its visitors are given nutrition and cooking workshops, while its beehive produces commercial quantities of honey for Billy Kwong, the restaurant of celebrity-chef, Kylie Kwong. While Wayside is one great example of food security done right, not everyone has the backing of celebs such as David Wenham to fight for their cause. This has been something at the forefront of Naidoo’s work in food security from the get-go. 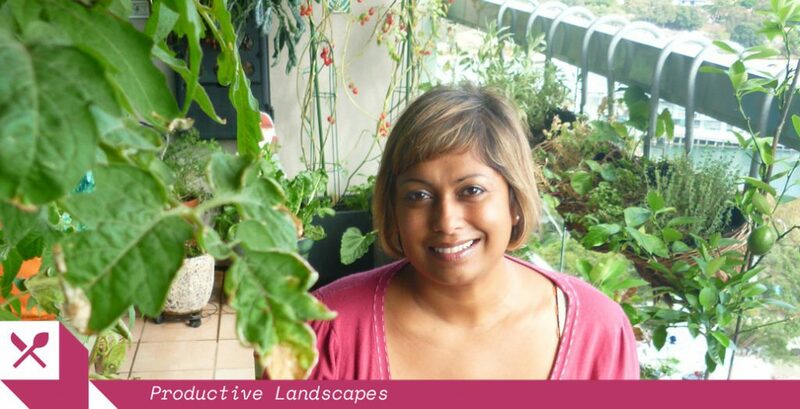 Indira Naidoo will be the keynote speaker at the 2017 National Landscape Architecture Awards, the first major event of the 2017 International Festival of Landscape Architecture. You can find more information about The Edible Balcony here.